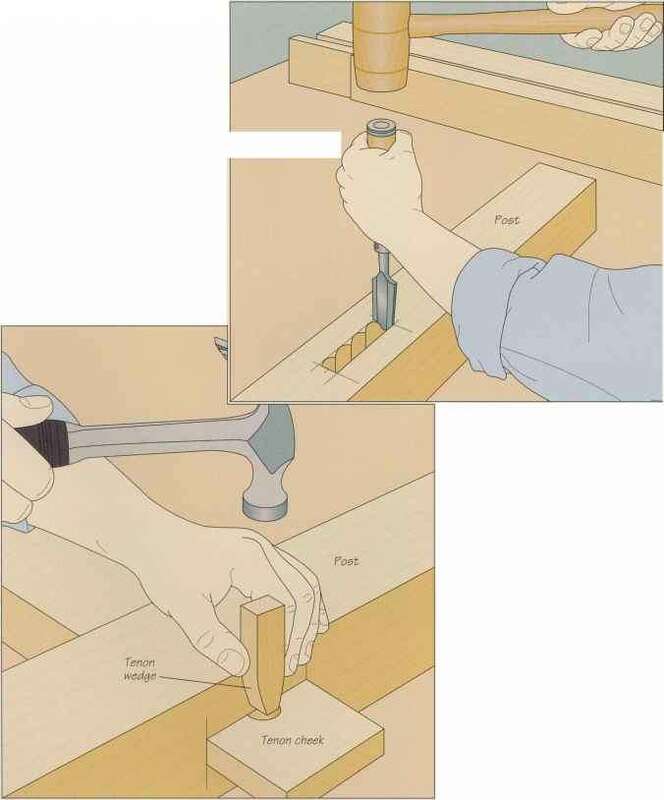 Using glue and two screws at each end, fasten the back slats to the rear legs; cut Ms-inch spacers to maintain the proper gap between the bottommost back slat and the seat, and 14-inch spacers for the remaining rows. 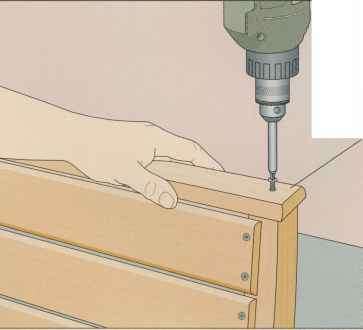 Before applying glue to the fourth slat from the bottom, notch It at each end to fit around the arms. Once all the back slats are installed, use two screws to fasten the bottom end of the back support piece to the seat slat at the back of the bench. Complete the bench by installing the upper back rail. Apply glue to the contacting surfaces of the rail and legs, then screw the support in position (left).